With over 12 years of experience, we serve as your liason to the art world by customizing innovation art programs for every budget. As expert advisers, our full range of services will guide your vision from conception to completion. 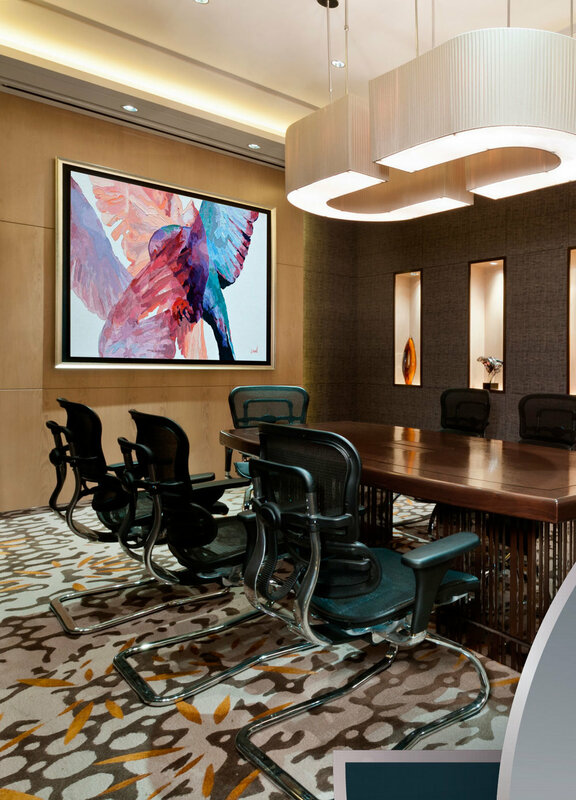 With a collaborative team on interior designers, graphic designers and multi-media artists, we create superior environments and custom solutions with our Artfully Designed Interiors. Current trends reinforce a company's brand focus strategically on issues that align with their business interests while still having a positive social impact on their employees, consumers, and the communities in which they do business. A wide range of industries - healthcare, oil and gas, healthcare hospitality, technology and finance, among others - support art and cultural strategies to achieve positive change within their business model.